"Welcome to your place of practising inner calm, peace, love and tranquility." "You can get started right away by selecting a period of time you would like to practise. All levels welcome.."
Hi, Im Leah. I began seeking alternative ways to relax and let go of anxiety when I was studying Sound Production at RMIT in 2011. I participated in small group meditations and found my head in a cloud confronting the idea of stillness. The experience was a blessing in disguise demonstrating to me it was time to seek other ways to find peace while going about my career in life. I continued with a regular practise in place for some years and after having my kundalini awaken as a 31 year old in 2013 I began teaching guided mindfulness and calming meditative techniques (using sound and other senses) to people looking for ways to to relax in the community of St Kilda. It was great, and I am happy to be of service now. Its nice to be able to contribute to others self-discovery by providing a space for them to practise the art of letting go. 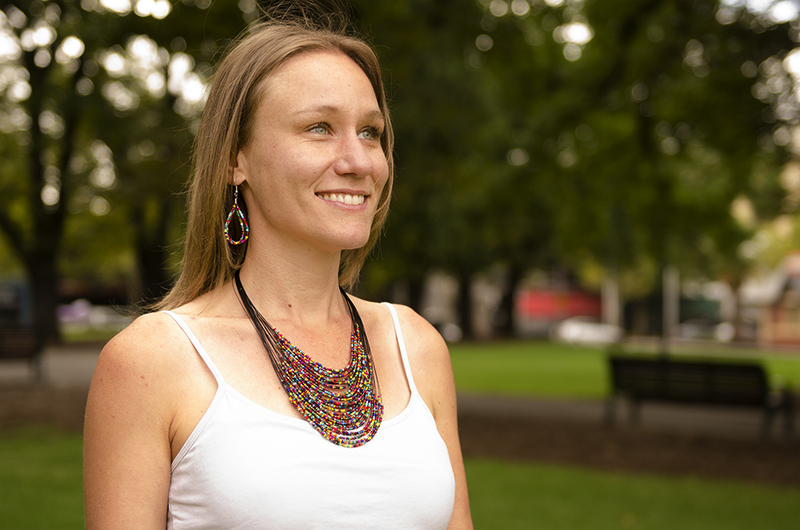 Currently I am teaching guided and mindful meditation with sound in multiple locations and venues around Melbourne for a range of different people and groups, with the regular practise currently in St Kilda. You can chose to stay for shorter or longer periods, and come and go as you please (Im here to support in any way I can). I’d love to meet you and have you as part of the group at any stage or walk in life. All levels and age groups are welcome to join in the discovery of peace residing within. With the use of Tibetan singing bowls, voice, rose oil scent and other ways of engaging the senses, Leah creates a welcoming space for you to benefit from committing to a regular meditative practise and learnings. "Meditation is a great way to let go of stress via being present in each moment. It offers inner contentedness, peace, and ultimately our best performances in life with a regular practise in place. It indeed has a positive and lasting effect on your connections with people - whether family or friends, partnerships or business associates. Meditation is an excellent skill to have in your repertoire, and in general a fantastic way to live, be and do. It has personally transformed my life from one with stress to one of peace and tranquility, with a balance of fun and enjoyment!" Contact Leah for further details.